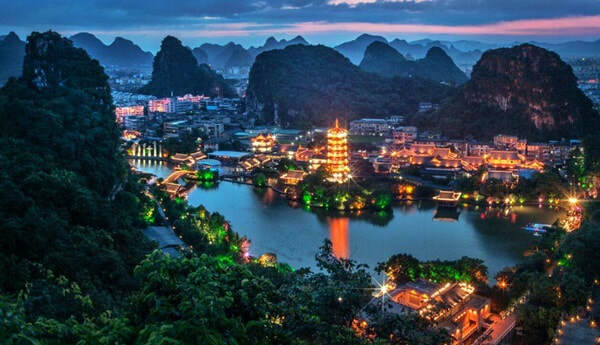 A combination of Guilin Day Tours﻿ and multi-day Guiin Tours available from Wendy Wei Tours. Multi-day tours with a focus on Yangshuo as well as other nearby destinations by Wendy Wei Tours. Multi-day tours with a focus on Longsheng as well as other nearby destinations by Wendy Wei Tours. Multi-Day China tours with a combination of classic routes as well as unique tours by Wendy Wei Tours. Multi-day tours with a focus on Guizhou as well as other nearby destinations by Wendy Wei Tours. Multi-day tours with a focus on Zhangjiajie as well as other nearby destinations by Wendy Wei Tours. Multi-day tours with a focus on Chengdu as well as other nearby destinations by Wendy Wei Tours. Multi-day tours with a focus on Xi'an as well as other nearby destinations by Wendy Wei Tours. Multi-day tours with a focus on Shanghai as well as other nearby destinations by Wendy Wei Tours. Multi-day tours with a focus on Beijing as well as other nearby destinations by Wendy Wei Tours. Multi-day Nanning Tours as well as other nearby destinations by Wendy Wei Tours. Multi-day tours with a focus on Yunnan as well as other nearby destinations by Wendy Wei Tours. Interested in something a little different? Create your own Tour today!